A home and location you will love in the heart of the Gold Coast and also close to Old Town! 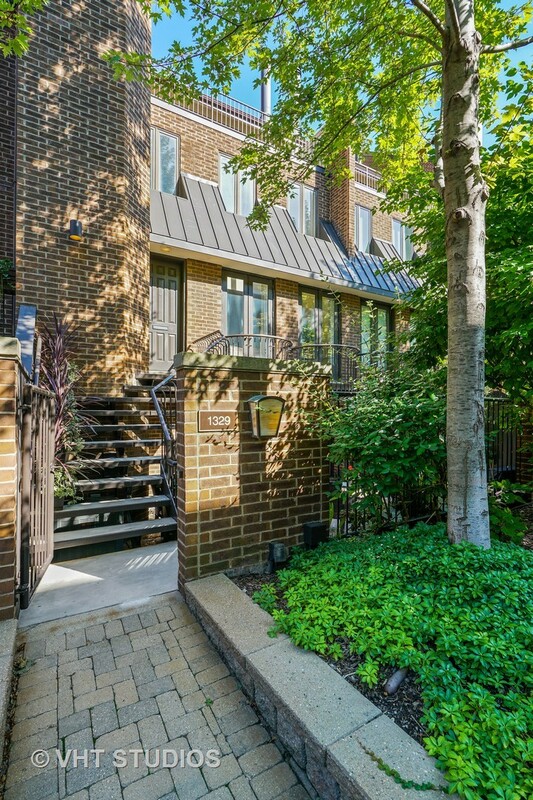 Restaurants, shops, and the lakefront are minutes away from this gated townhome in Sutton Place. Very spacious with 3,826 sq ft features an open floor plan with soaring ceilings and wonderful sunlight. The 3rd BR area is currently open for a home office and can be easily made into a bedroom. Impressive finishes and comforts throughout the home include two woodburning fireplaces, natural stone, walnut and maple floors, and a large, landscaped terrace off the renovated family room outfitted with a wet bar, refrigerator, dishwasher, wine storage, and microwave. Additional comforts include another large deck off the master BR, vaulted ceilings in master BR, spa master bath, an attached heated garage and much more. The complex was recently tuck pointed and the roofs were replaced in the fall of 2015. Guest parking available during the day. Options for parking a second car are nearby.